To get the Gospel narrative right, producers of new HISTORY docudrama series Jesus: His Life sought out Dr. Scot McKnight and other leading faith voices. Combining dramatic reenactments with commentary from leading faith voices and theologians, Jesus: His Life stars Greg Barnett as Christ alongside a diverse cast. It premieres March 25 as a two-hour event on HISTORY, with the finale airing during Easter week. “It seems like every year, someone on television presents a conspiracy theory-driven story about Jesus, His crucifixion or the resurrection,” says New Testament scholar Scot McKnight. They do, and so do major magazines and websites. There’s increasingly a lot of money to be made, and clicks to be gotten, attempting to debunk the life, miracles and resurrection of Jesus Christ. But not this time. 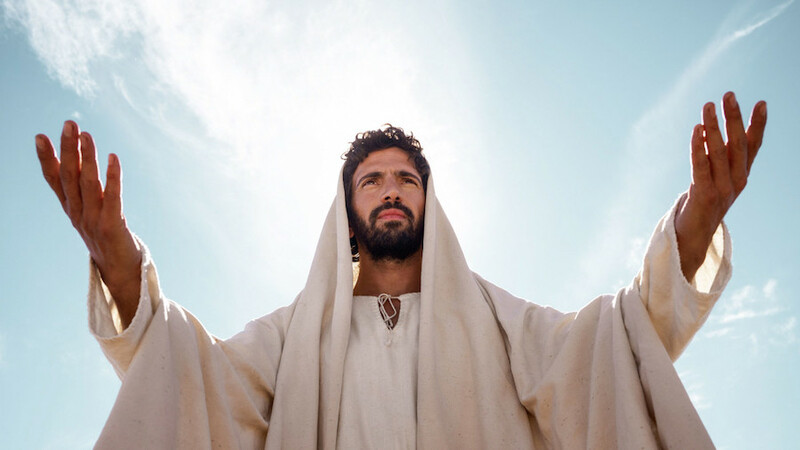 Premiering March 25 on cable TV’s ratings juggernaut HISTORY, the new docudrama series Jesus: His Life aims to provide a new lens to see the Gospel narrative. The series combines dramatic vignettes of eight figures who knew him — such as Joseph, Peter, Caiaphas and Mary Magdalene — with expert interviews of diverse Christian and Jewish scholars discussing the events on-screen. Yet some voices have been quick to criticize the eight-part miniseries before it premieres. After all, isn’t this the network behind such series as Ancient Aliens and Bigfoot Captured? McKnight understands those reservations. He spoke in a phone interview about why he chose to help the producers … and why he believes the series will have an impact. 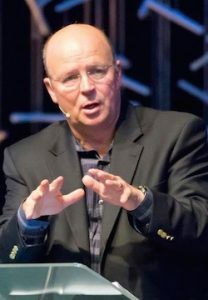 A professor at Northern Seminary near Chicago and prolific writer online, McKnight has authored many books including The Jesus Creed and Open to the Spirit. The interview has been lightly edited for clarity. How much of this new HISTORY series Jesus: His Life have you seen? Dr. Scot McKnight: Every minute! I was asked to be an evaluator and advisor for the scripts. Then I was involved in watching each episode to provide notes. Some I have even watched twice. Could you discuss how the series is structured — and which episodes you are most excited for people to see? McKnight: Jesus: His Life invites viewers to get under the skin of these various people, like John the Baptist, Judas and Mary Magdalene. It presents how they knew Jesus and shows, This is the way I look at who He was. What they say is coming exclusively from the four Gospels that we have. At times, it is literally word-for-word taken from the Gospels. These eight episodes are all beautifully done. The John the Baptist episode was really good — so were the programs on Pontius Pilate and Peter. To me, those three are the highlights but I loved every episode. None of them are below par. Some past cable TV programs have not accurately represented biblical events or people of faith. What convinced you this series would be different? McKnight: After having a conversation with the producers at Nutopia, I was confident Jesus: His Life would be unlike most series. It was not going to be shaped by conspiracies or trying to debunk the Christian tradition or the Gospels themselves. I looked at the names of other advisors like Ben Witherington [and] Mark Goodacre, whom I respect. When I read all the scripts, I thought: These are really good. They are not trying to recreate what “really happened” against what the Gospels say. They present what the Gospels actually say. In watching the episodes, I believe they fulfilled that vision. How do you respond to the series having such a variety of voices who offer commentary, from Bishop Michael Curry to Pastor Joel Osteen? McKnight: At times, they would have a voiceover of someone I thought: Hmm, I’m not so sure that’s the person to use. Or, I’m not sure I agree with that expression or their way of framing things. But their approach to what they said here affirmed the Gospels. Sometimes their [divergent] viewpoints caused me to go back to the text. By the end of each episode, I saw how Jesus: His Life was so very well done. It’s a series that churches should get behind. Your best-selling book and popular blog are called Jesus Creed. How do you see that message reflected in this series? McKnight: The Jesus Creed is a wide-ranging book, covering a lot of topics. But the core message is loving God and loving others. There are a number of times in these episodes where the centrality of love to the vision of Jesus and the disciples of Jesus is affirmed with utter clarity. Why do you believe this series is important at this time in our culture? McKnight: This could be a real opportunity for Christians in the United States to have positive encounters with other people about Jesus. And the more Christians talk about Jesus, and the less about all the things that we’re divided over, the better we will all be. Premiering March 25 as a two-hour event, Jesus: His Life airs Monday nights on HISTORY. Explore The Stream’s complete TV coverage, and sign up to receive top stories every week.